THE FERRANTE & TEICHER / FRIDAY MUSIC 180 GRAM AUDIOPHILE SERIES BEGINS! ART & LOU'S STELLAR 1966 HOLIDAY ALBUM NOW FOR THE FIRST TIME ON AUDIOPHILE VINYL....WHERE IT BELONGS! THE TWIN PIANOS ARE BACK! The legendary Art Ferrante and Lou Teicher, two Julliard classically trained child prodigies, were life long friends who recorded a plethora of top charting albums and hit singles over a career that lasted for over fifty years. 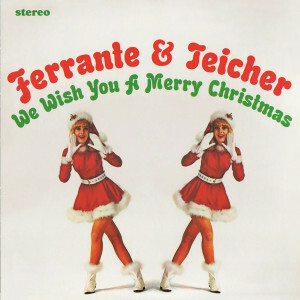 Serious mainstays of the adult contemporary and easy listening formats of radio and retail, Ferrante & Teicher also experimented with the piano in percussive ways never known to the instrument but soon became a much loved sound to their millions of fans. Progressive in style, it was this zest for the instrumentation, the recording techniques in the studio setting, as well as the thousands of concerts they performed in their five decades that made Ferrante & Teicher the most successful piano duo of all time. United Artists was their home for over thirty years in various incarnations (UA, Liberty, EMI and Capitol Records), and it was here that these power players defined the format and made many hits singles and smash albums that truly showcased their classic roots to a wide reaching pop audience. In 1966, "We Wish You A Merry Christmas" was another fine chart success for Art and Lou as they recorded probably one of the most important albums of this genre ever with some of the most thoughtful and imaginative arrangements of carols, Christmas standards and holiday classics ever waxed. With the first side consisting of superior interpretations of celebrating Christ’s birth and the remainder of the album offering brilliant takes on holiday standards, "We Wish You A Merry Christmas" is a landmark album that has forever stood the test of time. Just listen to the emotion packed medleys of "Hark! The Herald Angels Sing" and probably one of the Finest recordings ever of "O Come All Ye Faithful" as part of the "O Tannenbaum Medley". If you don’t have some tears in your eyes after hearing this brilliantly orchestrated and piano filled masterpiece, well then… you’ve come to the wrong place. This wonderful holiday masterwork has been out of print for many years on vinyl… that is until now. 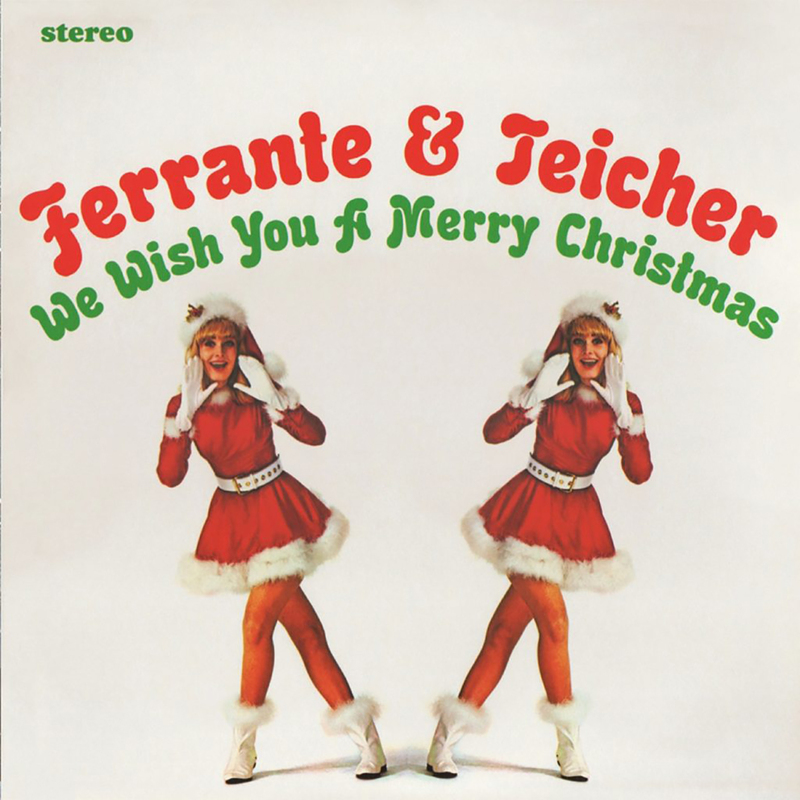 Friday Music is very honored to announce the Ferrante & Teicher masterpiece - "We Wish You A Merry Christmas" now on a newly remastered 180 Gram Audiophile Vinyl. Remastered and restored from the original United Artists tapes by Joe Reagoso (Elvis Presley, Jackie Gleason, Johnny Mathis), these recordings sound beautifully brilliant as you remember them. We have also included the original LP artwork not seen in decades as well as all of the heartfelt holiday and Christmas classics as you remember them… Ferrante & Teicher style!